Coming SOON to Muth's product line!!! I love the idea, but this is out of my price range. Great product. Will be a tough sell for seasoned Wing owners. I think it is super cool, and a great safety enhancement. 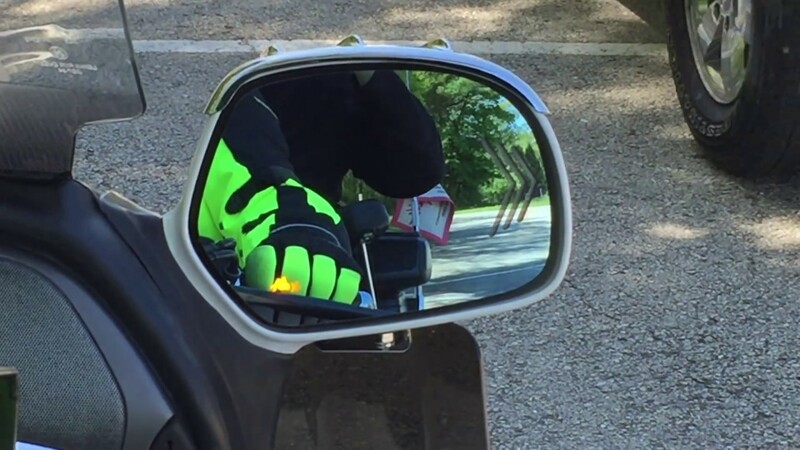 Any plans for Muth with the new 2018 Goldwing/Tour? I think I'd be interested in that! I like it a lot. But I'm not sure if I like it for 599 reasons. Also, it seems like the notification icon in the mirror is a bit small to see. I'd like to see a Red icon or arrow (like what the Mercedes cars have) as I believe that would alert one better. I hope to be installing it soon on my 2012. I will keep everyone updated! If it offers enough safety and can avoid a collision, it is well worth the price. I guess turning our head to look is to hard to do. I think they would argue that it is good to know if a vehicle is coming up behind you, even if you are not planning to change lanes or turn. Trust but verify. I ALAWAYS turn and look. $599, that's a stretch. I like the directional only. $599 plus a 2 hrs install. Overall, too much for me. Also, the warning icons should be enlarged. Where are the Gold Wing?